Without the able direction and savvy scripts co-created by Harold Ramis… John Belushi, Dan Aykroyd, Chevy Chase, Bill Murray, John Candy, among others would have had to break a real sweat to find film-going audiences. Ramis has been compared to Bud Abbott’s ability to play a straight-man on screen; and Desi Arnaz’s creation of Lucille Ball’s television image. 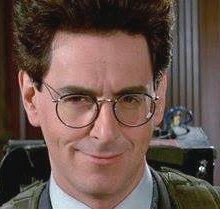 The real genius behind Harold Ramis -> was his lack of ego in letting others achieve superstar status that he had no interest in attaining. Harold also allowed his actors to improvise from really funny scripts, which made the collaborative effort so rich. His movies defined cinematic humor to the Baby-Boomer generation… and beyond. Ramis was one of three screenwriters for National Lampoon’s Animal House, which set his career on the fast track. A Chicago native, and early member of the improvisational comedy troupe Second City, he wrote and directed Groundhog Day, and Analyze This; and penned Meatballs, and the Ghostbusters series of films. His forte was pushing against traditional institutions: a dean in Animal House, country club members in Caddyshack, and a drill sergeant of Stripes (my personal favorite). Other behind-the-scene screen credits include Back to School, National Lampoon’s Vacation, and Bedazzled. Harold also had a role in As Good As It Gets as Helen Hunt’s son’s doctor. A third Ghostbusters had been rumored. Ramis frequently collaborated with producer Ivan Reitman. Adam Sandler, Peter and Bobby Farrelly have cited Ramis’ motion pictures as amongst their favorites. His filmography are some of the most beloved, and widely quoted comedy classics of the last thirty years. Early in life, he briefly worked in a mental institution, and often said the experience helped prepare him for working with actors… seriously! Harold Ramis, a creator of unforgettable celluloid that made the Stay Puft Marshmallow Man a really scary villain, was 69. This entry was posted on Tuesday, February 25th, 2014 at 12:01 am	and is filed under Blog by Manny Pacheco. You can follow any comments to this post through the RSS 2.0 feed. Responses are currently closed, but you can trackback from your own site.